Seeking guidance in unexpected places can stretch your potential in key ways. When seeking advice about leadership, we might turn to a more experienced colleague in our field or notable business leader. But sometimes the most innovative insights come from leaders in unrelated fields, whose different thought patterns push us to approach problems from new perspectives. Roger Nierenberg, a renowned symphony orchestra conductor and founder of The Music Paradigm, an elaborate executive learning class in which he brings musicians from an orchestra to role-play corporate dysfunction, recently sat down with Andy Molinsky of Forbes to discuss his work — and advice he would give to young entrepreneurs and creatives. Use his methods to develop your leadership potential. In his interview, Nierenberg explained that he teaches organizational change through orchestral role-playing games “that cause the very issues that the business organization is struggling with to spring to life in the symphony orchestra.” In other words, business professionals are able to step outside of themselves and see their challenges in a completely different context and think about solutions in new ways. The benefits of role-playing can also be seen in a 2015 interdisciplinary study, in which college students who participated in several role-playing exercises were able to view situations from multiple perspectives and forge a deeper understanding of others’ emotions as well as their own. While playing a formal role-playing exercise might not be realistic, you can mimic the learnings by shadowing successful groups within your organization — by attending some of their meetings or setting up a few meetings with key stakeholders — to get a sense of their challenges and problem-solving methods. Doing this can give you ideas about how to lead your team in new and innovative ways. Mistakes can feel inevitable when you are trying something for the first time or seeking to leverage a skill. Although failure doesn’t necessarily feel good, Nierenberg explains that it can be “enormously powerful,” especially in creative endeavors. Instead of giving up when something does not go as planned, assess what went wrong and try again, even if it takes several attempts. Despite being a thought leader in organizational change, Nierenberg admits that throughout his journey, he was not always willing to take advice that didn’t align with his perspective. “I got all kinds of advice that I simply wasn’t mature enough to receive. What I’ve learned is that when somebody gives you some advice — and it doesn’t strike you as correct, or relevant — really take some time to file the advice away,” he told Forbes. Whether or not a mentor’s or boss’ advice is perfectly applicable to your role or aspirations, actively listening to what they have to say can build mutual trust and plant a seed that could help boost performance down the road. As Nierenberg points out, such advice can be implemented at a later time and serve an important purpose. 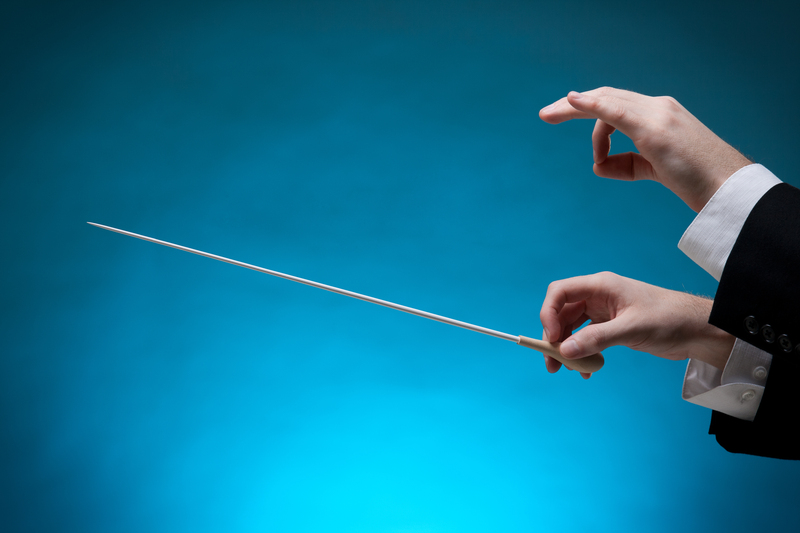 From orchestra conductors to colleagues in different departments, leadership inspiration is everywhere. By keeping an open mind and seeking guidance in unexpected places, you can develop your potential beyond the boundaries of your job.